Locks are more secure and far more sophisticated now than they were just 10 years ago. Even though you may not think your locks are old and don’t need to be replaced, they may actually be flashing a big red sign to would be thieves that says “Pick me! Pick me!” We mean that in the most literal way. When a thief spies a lock that can easily be opened, that is the house or business they are likely to break into, not because they know the house or business is filled with valuables but because it is an easy target. Why Do I Have To Pay For A Security Check? When a locksmith provides “free” security checks, they use this as a way to get in the door to sell you something. We do not run our business in this manner. We are never out to sell you something; if you need something, we will suggest something. Kingdom Keys does not come to your home or business for a security check, expecting to sell you anything at all. A thorough security check on your property. 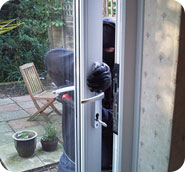 We look at every aspect of security with your doors and windows. We are not coming to sell you anything, so we can provide an honest assessment of the security check and make truthful recommendations if there are any. We will check the requirements of your insurance. If you do not meet those standards, we will HONESTLY advise you as to what you need to meet your insurance requirements. 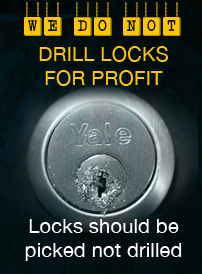 Our vans stock a large range of locks for every kind of door, every situation and every need. 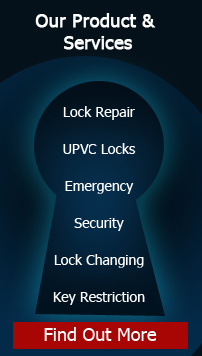 We can upgrade your locks if needed. 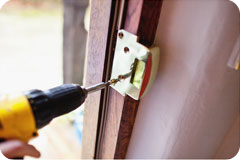 If we find that a repair is needed, our locksmiths are skilled and knowledgeable with all kinds of locks and repairing them. Doesn’t it make sense to book your security audit from Kingdom Keys, rather than leave your property as a vulnerable target. Call Kingdom Keys today to schedule your security audit so that we can tell you if your property is at risk.